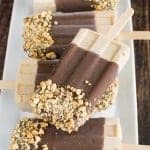 I am so excited to be partnering with the American Dairy Association this month to share a fun Back To School Dairy Fuel recipe. 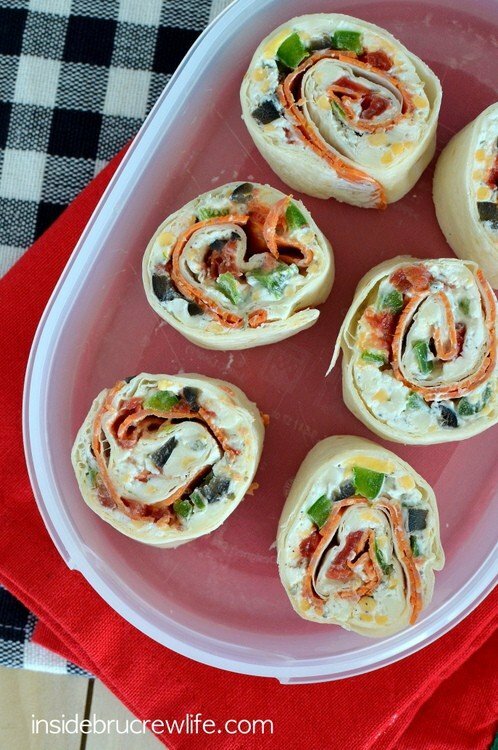 These Pizza Pinwheels are made with yogurt and cheese and make great lunches or after school snacks. Do you remember school lunches as a child? Now I’m sure school lunches have come a long way since I was in school, but I just remember them not being my favorite. I always wonder how many school lunches end up in the trash just because it isn’t something the kids do not like. We have our three kids bring a bagged lunch to school most days because we like that they can choose what they will eat for the day. They do request these Reese’s Peanut Butter Pudding Cookies quite often. My kids like that they can pick different foods every day, and they like choosing how much of something they can eat. I can tell just how much they are growing by watching how much they want to eat each week. Our kids are old enough now to pack their own lunches in the morning. Most days I just have to help warm the Chicken Noodle Soup or fill up containers with Veggie Pasta Salad if that’s what they pick. They definitely are not big sandwich eaters, so I always have to have different lunch options on hand for them to choose from. By keeping an eye on what they pack in the morning, I can make sure they aren’t sneaking extra cookies or cake in their bag. We try to encourage them to eat more fruits, veggies, yogurts, and cheese. 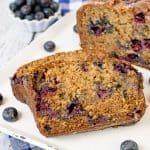 These healthy choices help keep them fuller throughout the day, and they also provide the energy my kids need to stay focused on their school work. This past week I wanted to try something new for lunches and our after school snack time. Our family loves eating pizza, so I incorporated those flavors into a fun pinwheel. I love being able to add yogurt and shredded cheese to the cream cheese for an added boost of protein. Those extra proteins help keep my kids healthy and awake while they are learning at school or playing on the playground. Did you know that most people do not get the recommended servings of dairy each day? In fact, each person usually needs one more serving a day than what they actually consume. Here is a handy dairy tracking sheet for you to print and place on your refrigerator if you are not sure your family gets enough dairy. These pinwheels are great finger foods which kids of all ages love. There is just something about small bite sized food that is just so much fun to eat. 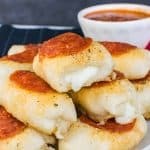 These easy pizza rolls are great for school lunches, after school snacks, mid night snacking, or tailgate parties. Protein from the yogurt & cheese and lots of veggies make these a pretty healthy snack option for any time. Cheese tastes great, and it helps people eat more of the right foods. If you want to read more about how cheese can be incorporated into your healthy living, check out this fact sheet on cheese. 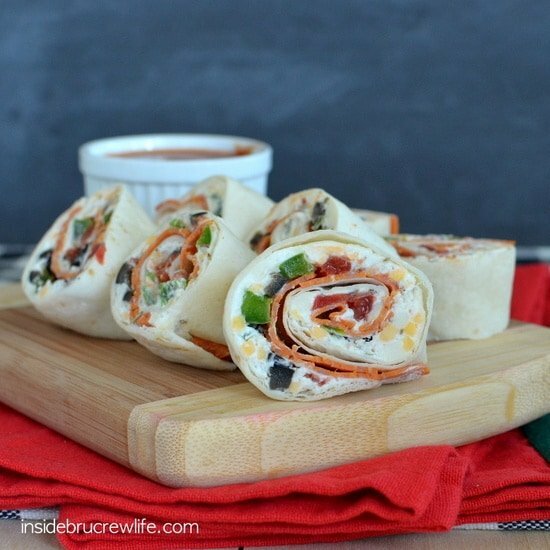 I love how easy these Pizza Pinwheels can be made to your taste. 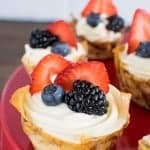 Feel free to put your favorite toppings in with the cheese mixture, then serve these on a plate with fun toothpicks. Honestly, they will disappear in a hurry, and you will feel great knowing you helped everyone get another serving of dairy for the day. 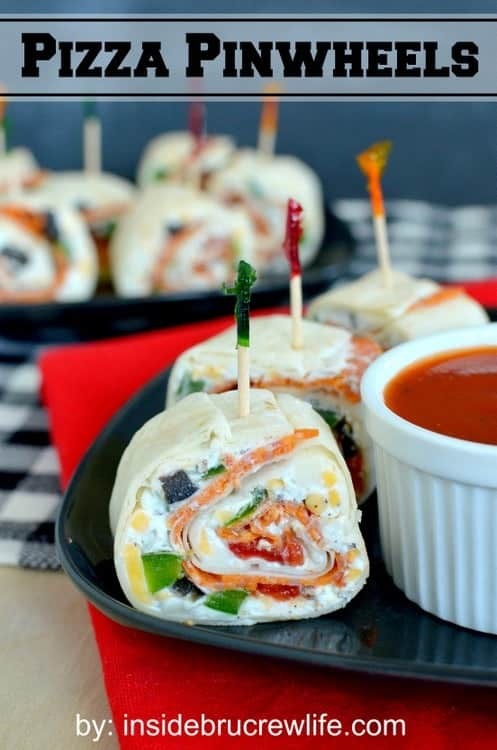 Cheese and yogurt pinwheels take on a pizza flavor when filled with your favorite pizza toppings. Combine the cream cheese, yogurt, oregano, and garlic powder. Stir until creamy. Stir in the shredded cheeses. Spread the cheese mixture evenly on the 3 tortilla shells. Evenly sprinkle the olives, green peppers, and tomatoes over the cheese mixture. Top each tortilla with a layer of pepperoni. Gently roll the tortillas up tightly, making sure everything stays inside. Take off the plastic wrap and cut each tortilla into 8 pinwheels. Serve with toothpicks if desired. Disclaimer: I was compensated by ADA Mideast for my time in creating this recipe and post. All opinions are 100% my own. How fun are these? 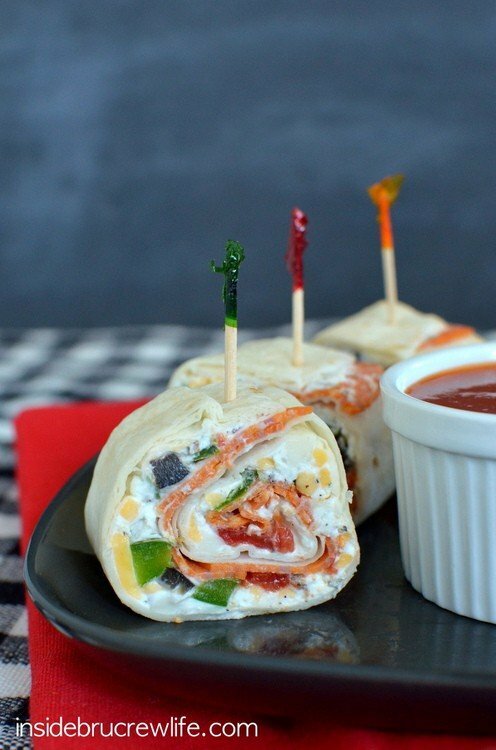 I wish my kids would eat stuff like this…they’re boring sandwich eaters. I however, would love this. I love that there’s Greek yogurt in there, and everything sounds so fresh and delicious! Thanks Marcie!! 🙂 It was a fun little healthy party whenever I bit into these! Oooh I love these Jocelyn! Can you make me a snack please??? Thanks!! 😉 Anything for you!! Lol! Anything with the word ‘pizza’ has my vote! 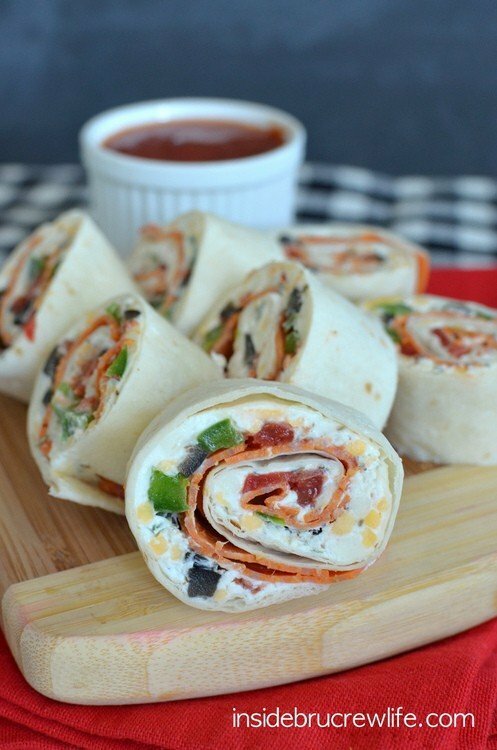 These pinwheels look like an awesome snack! Thanks Ashley!! 😉 That’s exactly how my family and I felt! You know we are pizza crazy around here! My kids would want to eat this everyday for lunch. Is it bad that I still pack my 9th graders lunch? What can I say! I even get up in the mornings and cook them lunch to put in their bags. 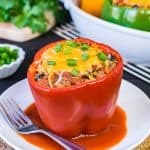 They may be great for back-to-school-lunch, but I’m thinking they will be awesome for “I’m-stuck-at-work-and-so-hungry-help-me” days as well lol! 😀 They are so pretty and look so perfect! What a fun school lunch – we’ve definitely devour these here! Thanks Ashley!! 😉 They definitely hit the spot! I wish I had these in my lunchbox as a kid … or now! I know!! All the other kids would have been jealous of this lunch back in my school days! 🙂 Thanks Nicole! What a great idea for lunch or snack! Totally going in my rotation, love these Jocelyn! Such a great idea! Every kid, no every body loves pizza! Cant wait to try these out on everyone! Thanks Tieghan!! 😉 So far, everyone I’ve made them for have loved them! A Pizza pinwheel- that is something I can get behind! Delicious! What a perfect snack or lunch for that matter! They sound delicious and look so pretty too! Well, this blows sandwiches out of the water. Getting yogurt into pizza – now thats sneaky and creative:) I can’t wait to try this, pizza is a favorite around here, too! Haha! Yes, it is quite sneaky, isn’t it? 😉 Gotta squeeze that extra dairy in where I can!! Thanks Mary! These would totally make the other guys jealous!! Most guys love their pizza! 😉 Thanks Kelly!! Those look delicious! Such a great snack or lunch. I love the color in them – they would be a great party food! Thanks Kristen!! 🙂 These would be a hit at any party! And they’re super easy to throw together! I’m a teacher, so I pack my meals every day. 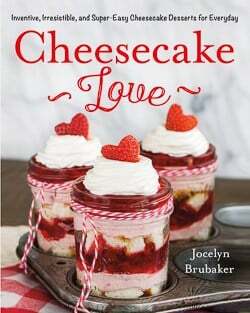 I make something almost exactly the same, except I use cream cheese in place of the yogurt and cheese. I add the extra veggies, then dip in pizza sauce. I just keep a bottle of squeeze pizza sauce in my mini fridge in my classroom. I eat lunch with a group of my students every Friday as a cooperative group incentive (1 group wins per week) and they are always excited to see what I have brought for lunch. For the first time ever, I had groups of students telling me their favorite foods were things like carrots, broccoli, and squash! I was blown away! There is a wonderful documentary on Netflix right now called “A Place at the Table” which is all about the food insecurity (where am I going to get my next meal) in our country. 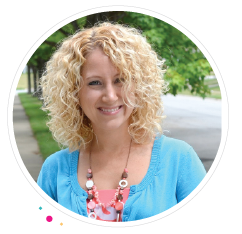 It totally opened my eyes to being a great food role model for my students. As much as I like treats (actually, I’m a salt and carb craver), I encourage my students to bring cut fruit for their birthdays, or something just as healthy. It has definitely worked, and I work at a very low-income school. Thank you for feeding your children nutritious lunches. It’s parents like you that make my job easier. I just wish all kiddos had access to nutritious food. Mmm, pizza sauce dip! Sounds like a great way to eat these!! That’s awesome that veggies were being listed as favorites. Hopefully America’s eating habits will get better! This coming from the person who has 8 million sugary treats on her blog 😉 I totally feel the same as you. It’s crazy to think that not all kids in our country have the food they need. I’ve been seeing more about helping to feed the hungry on tv lately. Maybe things are going to start getting better for our country in that regard! Your children must be eager to open their lunch bags! You must have had school lunches like I did! Yes, my kids rarely have food left in their boxes when they get home. They’re pretty good eaters, so I’m thankful for that! mmm, these look yummy! new take on the tried and true pinwheel! I love these! I don’t have kids yet, but I’d totally make these. The yogurt in them is such a great idea! 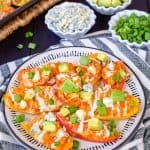 A healthier spin on pizza – awesome! Thanks Lindsay!! 🙂 I’ve been trying to add more healthy to the food my kids eat. So far, they’re lovin it! I most definitely will be making these! Anything that has the words pizza or cream cheese gets my vote. But, I am unsure about one thing. The recipe says to use garlic powder, but the instructions say garlic salt. Which one is it? Thanks! Thank you for catching that for me. I typed the one wrong. The recipe has been fixed to say powder in both places. I hope you enjoy the mini pizzas. I love pizza anything! This sounds great! Saw it on Ahalogy and pinned it!! These look like they would be perfect for the House Concert pot lucks that I attend. It sometimes takes me more than an hour to get there. I think these would hold up well. I have one question about the size of the tortillas. I’m assuming large, like for a burrito. I think that I used the 8 or 10 inch size tortillas. Any size would really work, you just might need to adjust the inside ingredients. I hope you enjoy them. Just want you to know that these have been a hit every time I make them for our church potluck. I used the food processor to chop up everything when I’m making that big of a recipe. Not only does this sound delicious, but I also think it is relatively healthy. Especially if you use whole wheat tortillas and turkey pepperoni. Thanks for this great idea.